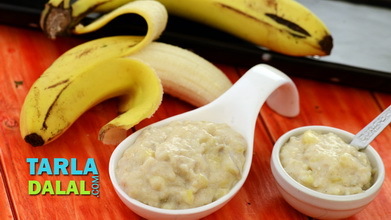 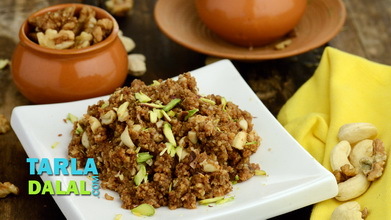 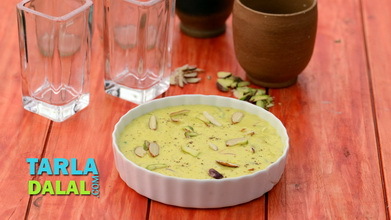 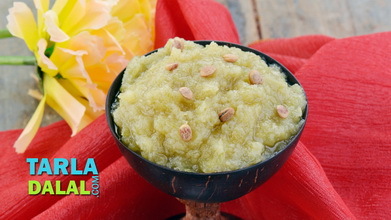 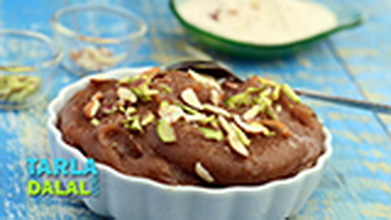 An irresistibly sweet dish made from a sweet ingredient! 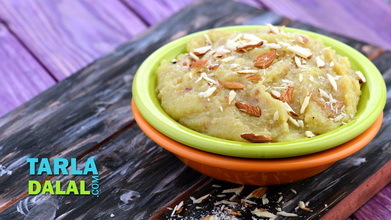 Try this unique halwa made using sweet potatoes, flavoured with cardamom powder and saffron, and enriched with nuts to keep your energy levels high. 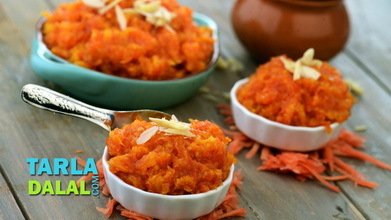 Make sure you sauté the sweet potatoes for the recommended time, so that the raw smell goes off, and you get a rich aroma. 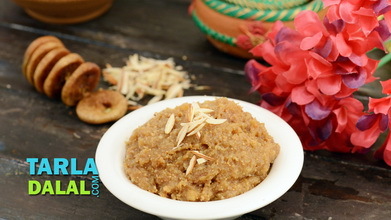 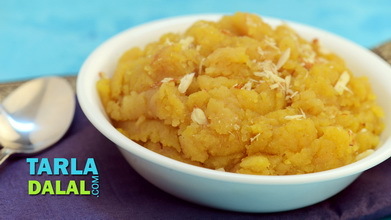 When you switch off the flame, the halwa should be of a soft, semi-solid consistency and not completely dry.